Just in Time for the Holidays – “Holiday Shopwise”! As the semester winds to an end and the holiday season gears up, join us for one final Social Guidance Sunday this weekend at 8pm! Become a more informed consumer and fulfill your shopping needs with consumer tips, lessons about the five-finger discount, and a grocery bag full of market priced goods (mostly sweets). That’s right, for the low, low price of $0, we bring you a “shop” class full of fun, educational films about shopping! We guarantee that you won’t have buyer’s remorse when you join us at the Bishop this Sunday, December 4th. We provide four fantastic films that are marketed to your interests: from the entertaining, Why Do You Need to Buy? (1971), a humorous look at the emotional influences in buying things, to the serious topic of stealing from businesses (Shoplifting, 1973), you will gain so much that you’ll feel like you’ve hit the biggest sale of the year! Help Jeffrey shop for his girlfriend’s birthday party with Product Costs: What’s In Them? (1979). Jeffrey enlists the unlikely but informative local grocer to help him learn about comparison shopping, wholesale distribution, and retail markups from a grocer. Just wait ‘til you see where Jeffrey ends up throwing the party! 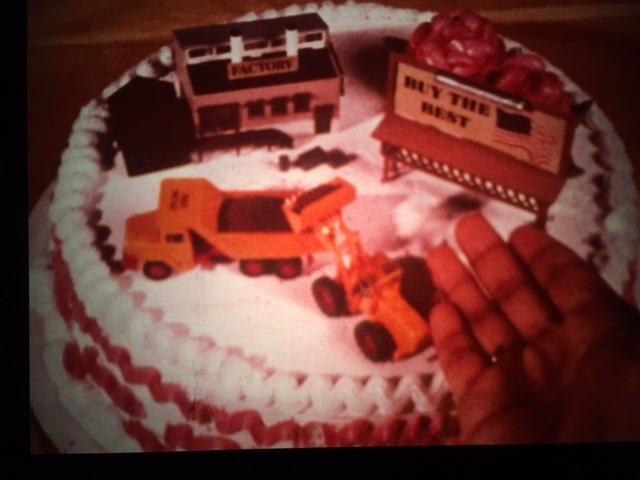 The jury’s still out on whether Jeffrey’s girlfriend appreciates the dump truck on her birthday cake, but she should be proud of her boyfriend for getting the best deals and learning how to shop wisely! (from: “Product Costs: What’s In Them?” ). You’ll learn so much information, you’ll feel giddy like a kid on Christmas Eve! 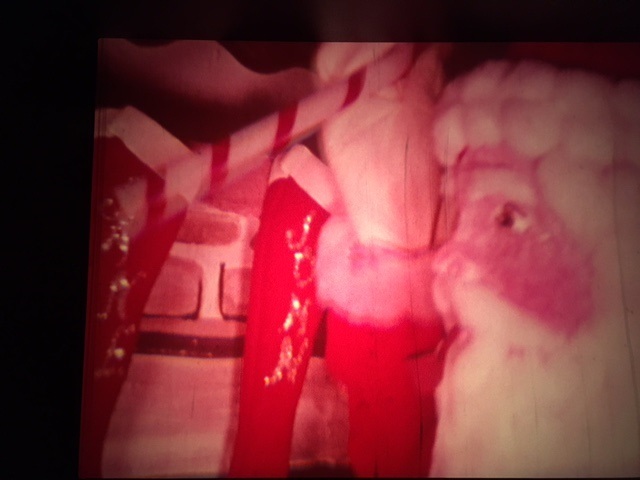 Speaking of Christmas Eve, we have a special treat: The final film will be A Filmmaking Experience (The Night Before Christmas) a 1974 film based on the poem “A Visit from St. Nicholas” by clement Moore. The film features an eighth-grade art class creating the set design, planning the animation, and constructing a charming holiday film. Ah Santa, he sees you when you’re sleeping, he knows when you’re awake. And he’s going to decide on whether you make the Naughty or Nice List if you don’t tip your bartender! (from “A Filmmaking Experience (The Night Before Christmas)” ). We are joined this month by guest co-programmer Jesse Balzer, a PhD student and instructor at the Media School. His work focuses primarily on the labor of film and media marketing, and he currently teaches a section of Advertising and Consumer Culture at IU. In addition to accidentally stealing a hot dog once from a gas station, he has also made many unwise purchases in his life. Like you, he is excited to become a better, more responsible consumer through the magic of educational film. Next Next post: Celebrate a Sweet 16…. Millimeter Film Program!